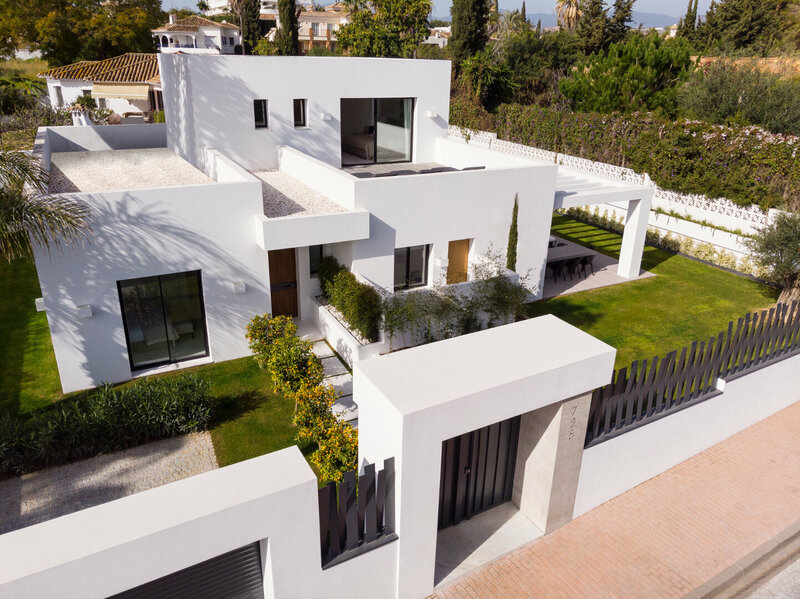 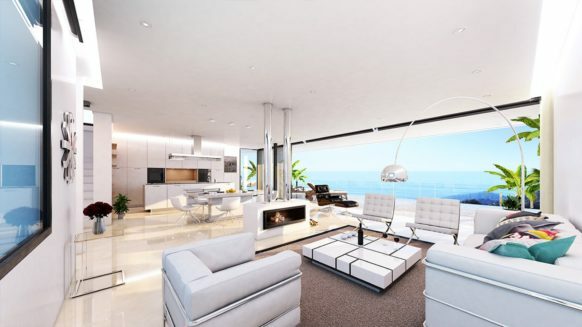 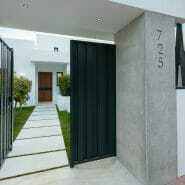 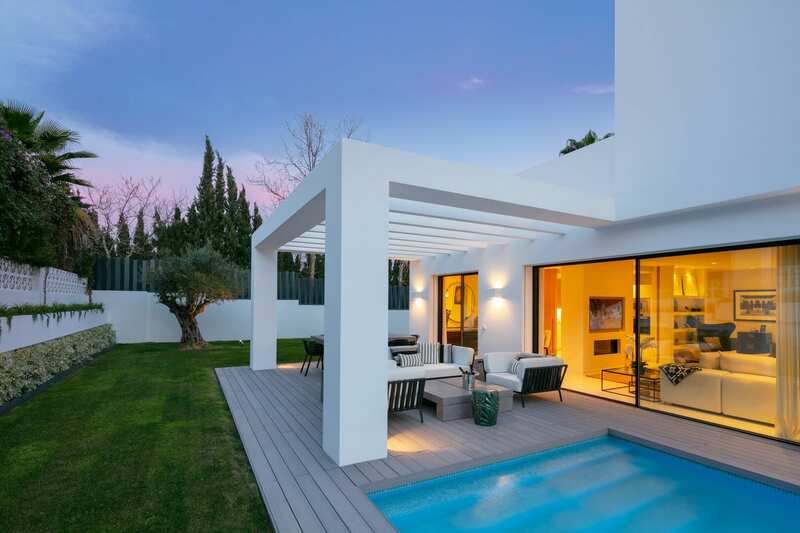 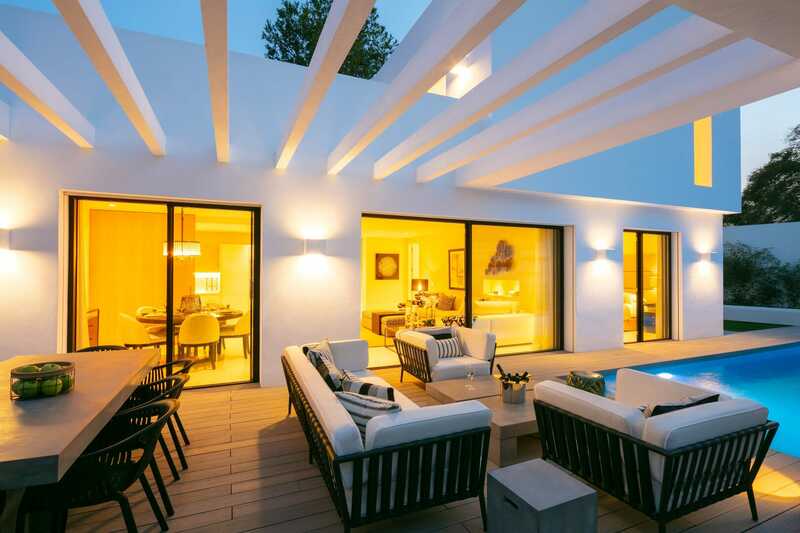 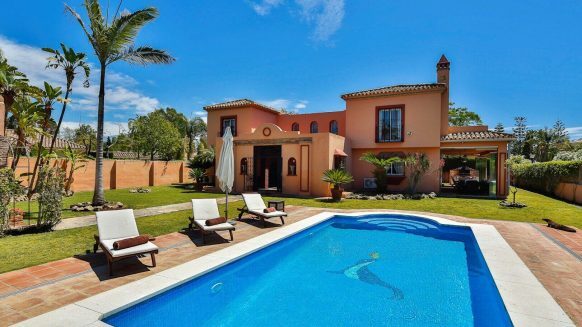 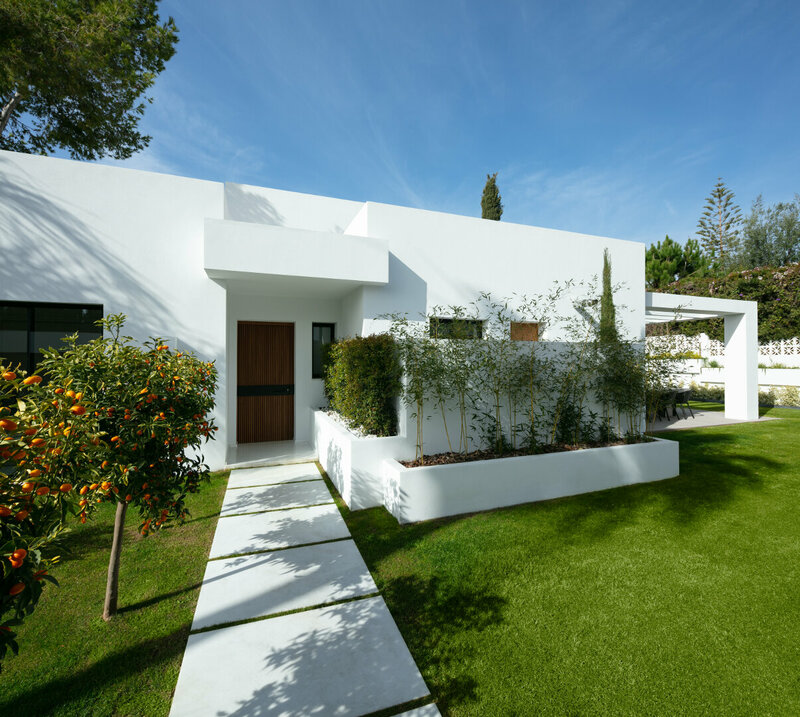 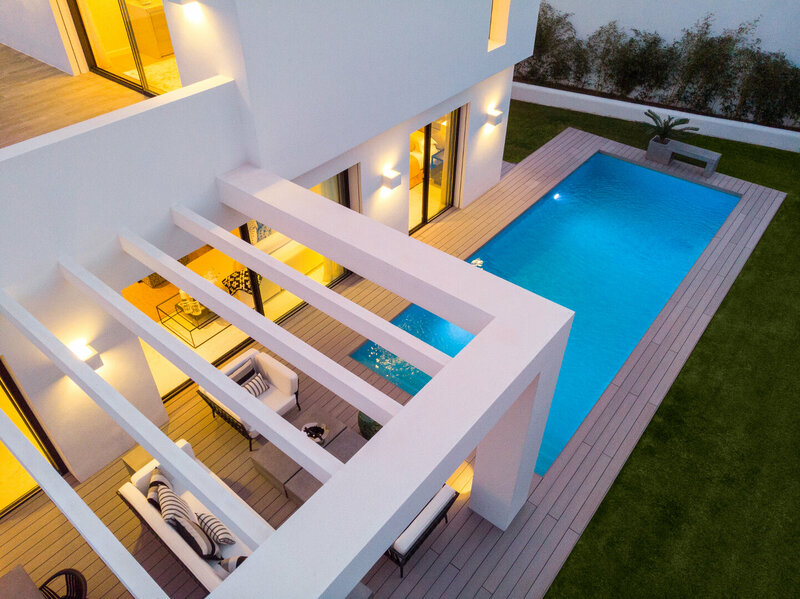 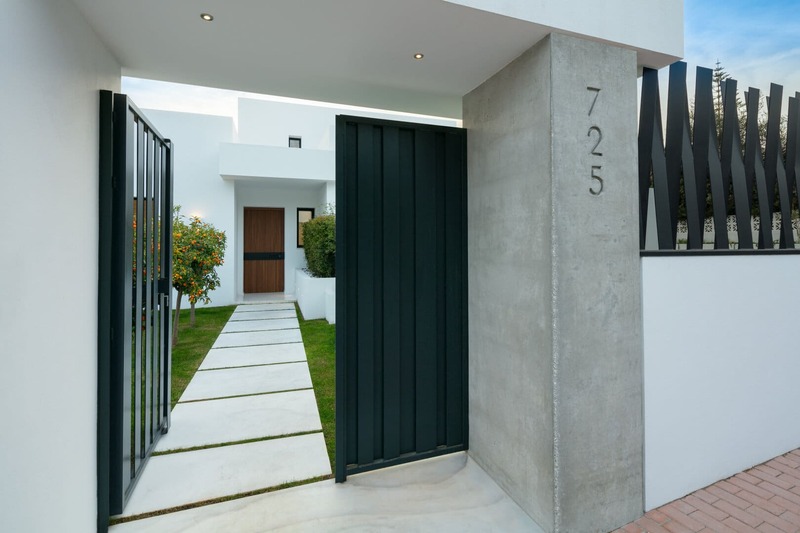 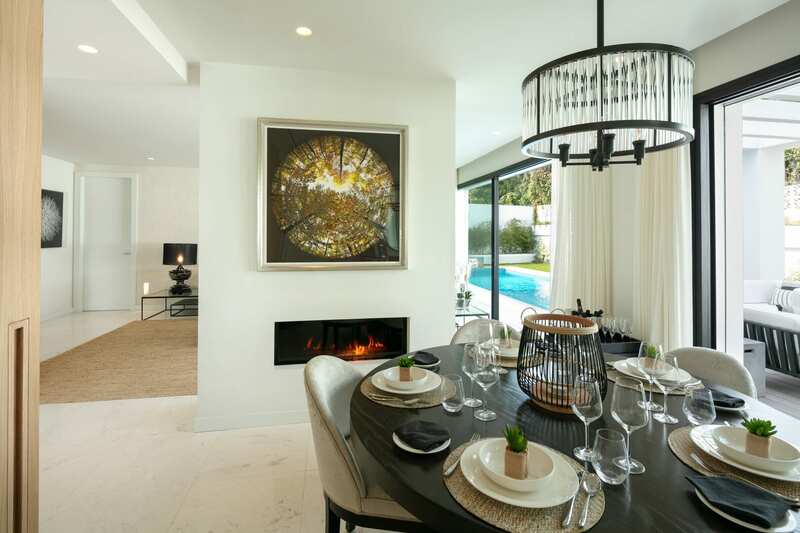 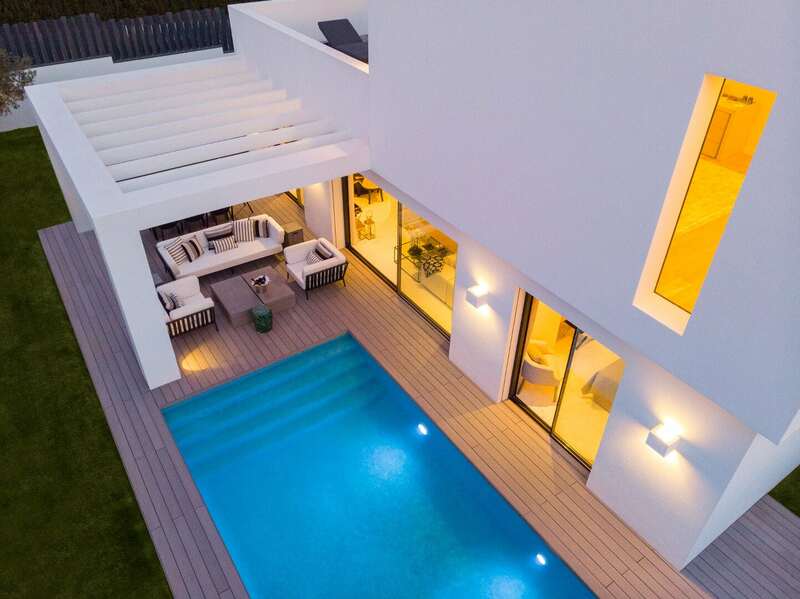 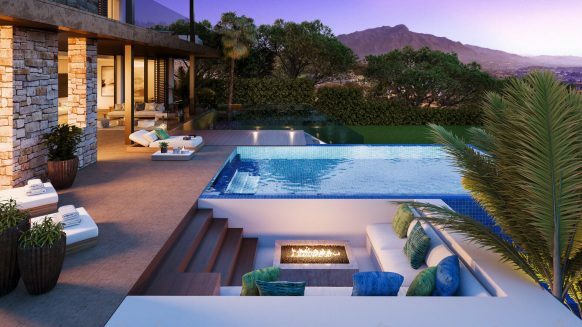 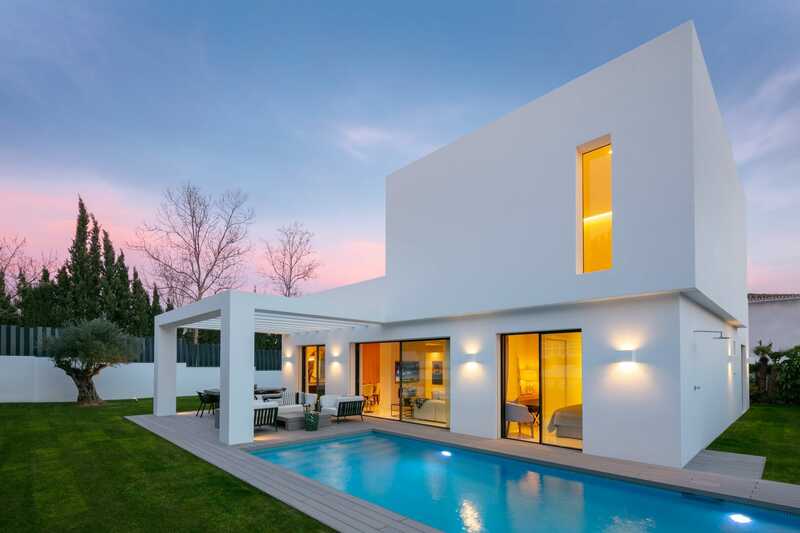 Beautifully renovated 4 bedroom villa in Guadalmina Alta with a contemporary design. 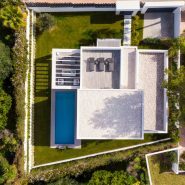 The villa is situated within walking distance to all amenities the Guadalmina commercial centre has to offer. 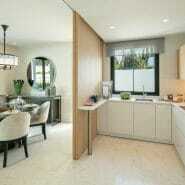 Coffee, lunch rooms, restaurants, supermarket and a Pharmacy all within easy reach. 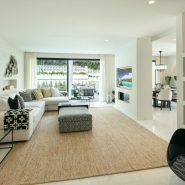 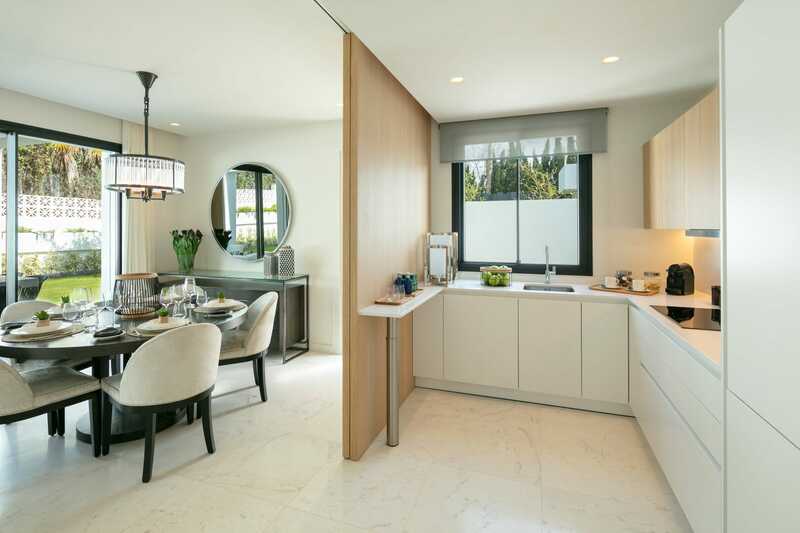 On the ground floor you will be welcomed to a pleasant living room with open plan kitchen and views to the pool and garden. 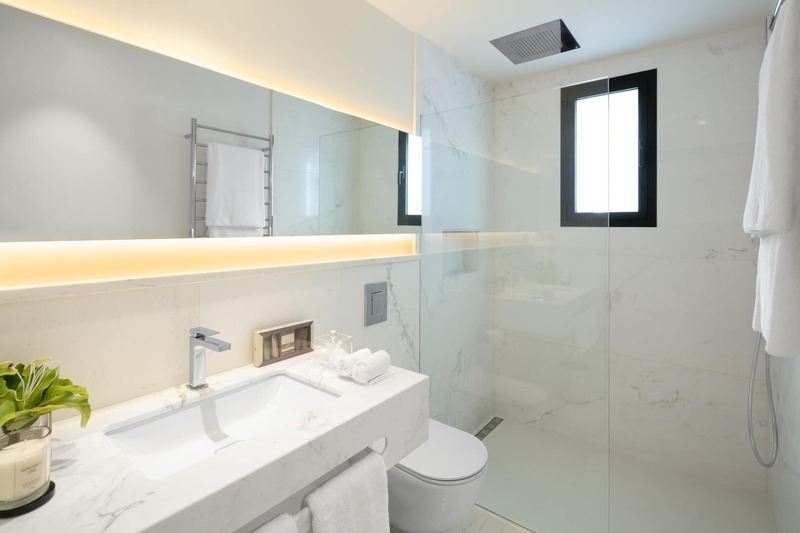 A guest toilet and three bedrooms en-suite are also on this level. 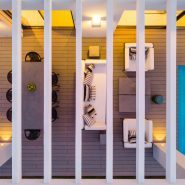 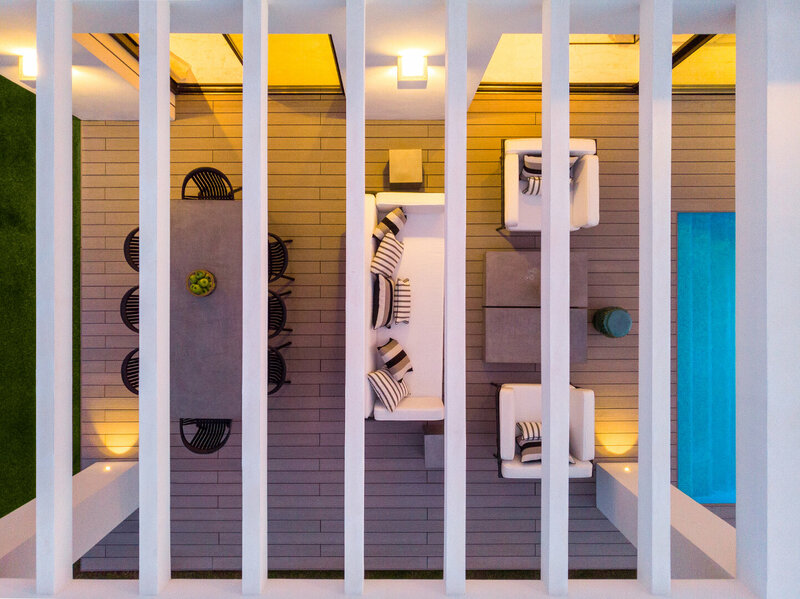 From the living room you can access the terrace with cosy outdoor seating and a private pool. 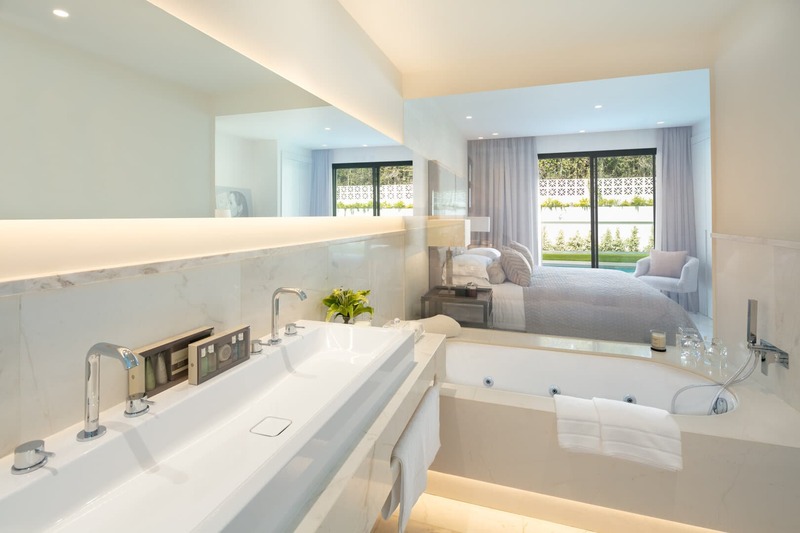 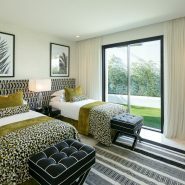 The master bedroom suite is on the 1st floor with its own private solarium terrace. 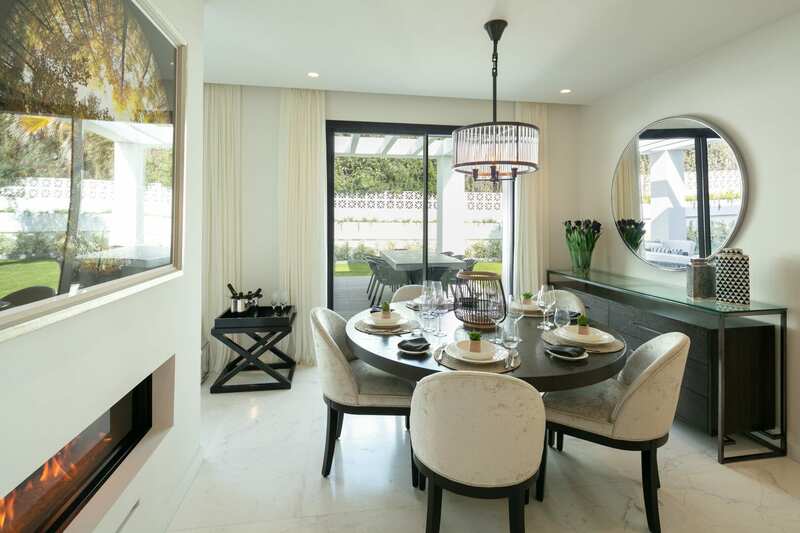 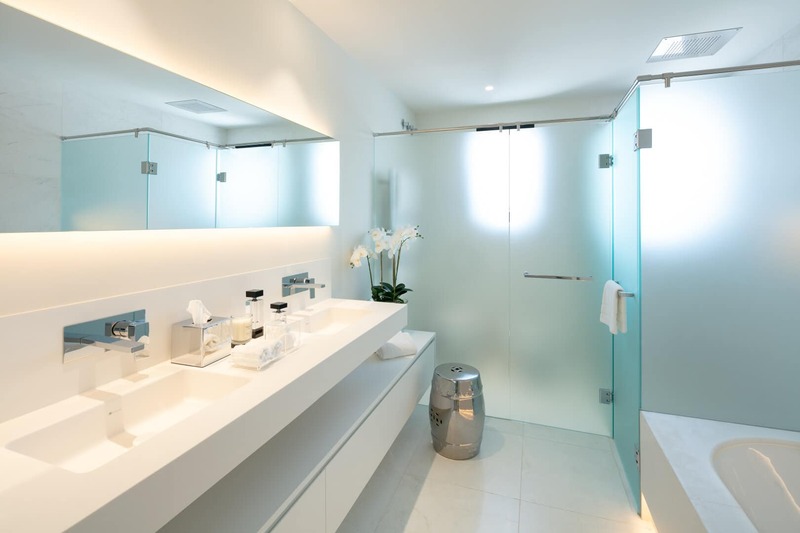 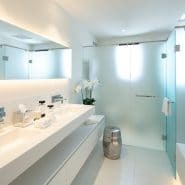 The technical and material installations in this home are of very high standard and are done in an exquisite way. 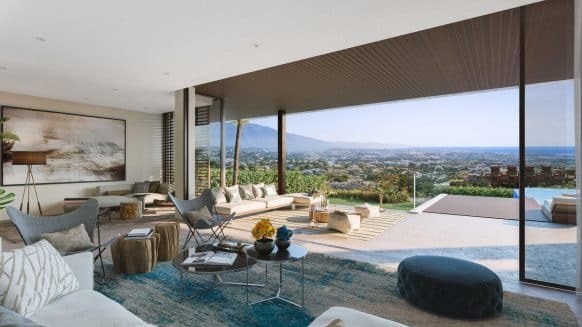 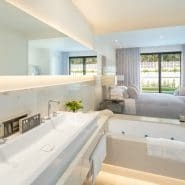 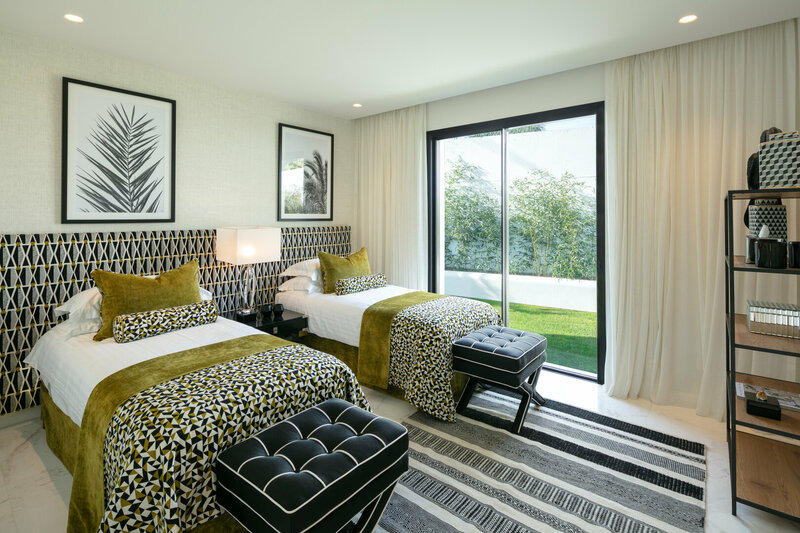 An ideal home for family living, especially as there are a few international schools within walking distance or a short drive; San Jose Bilingual school, Atalaya Bilingual school and Laude International school. 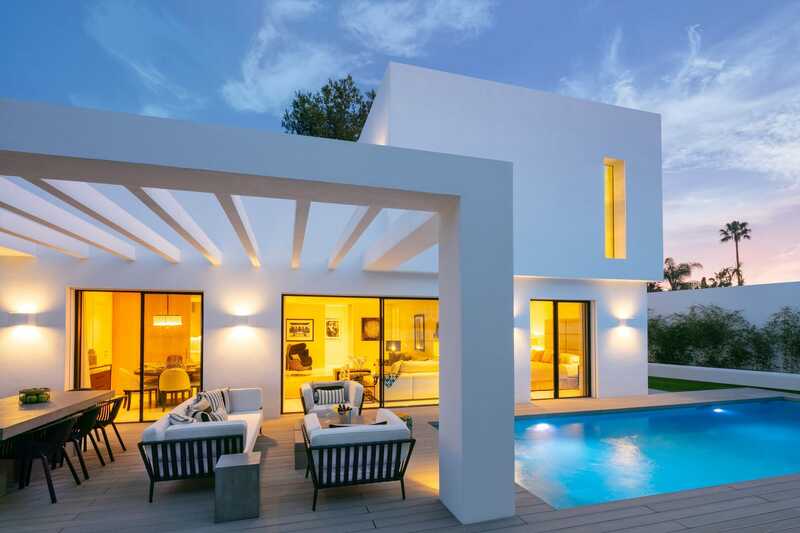 Guadalmina Alta is the established residential area between San Pedro and Estepona. 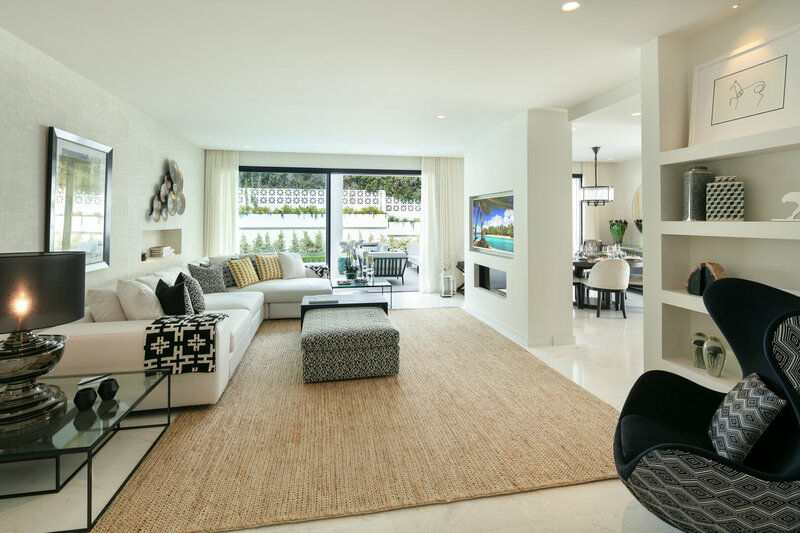 The Guadalmina shopping centre provides residents with all kinds of amenities, including a large supermarket, banks, numerous restaurants and cafés, furniture stores and many other shops and services. 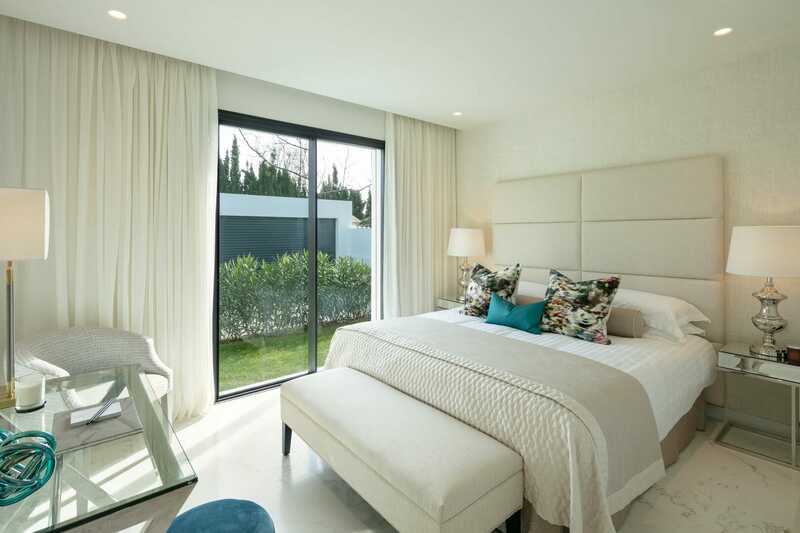 Within Guadalmina is San Jose Bilingual school, a private school within the top ranking schools in Spain. 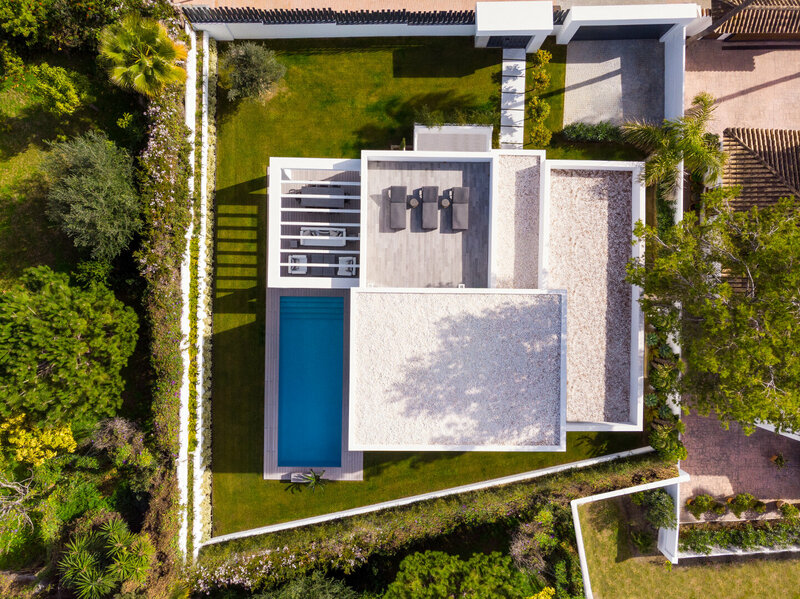 Guadalmina Golf Course offers two 18 hole courses, a par 3 nine hole course, a covered driving range for 40 players and a chipping and putting green.